To receive updates and new releases subscribe today. Want more information? Fill out the form below to speak with one of our consultants. We respect your privacy and hate spam. Your info will never be shared with a third party. Schedule our instructor led classroom training at your convenience and never miss another lecture or fall behind. You are in complete control. We invited the best trainers in the industry to help us develop the ultimate training and certification program. Virtualization technology continues to grow and VMware training has become a hot topic. This course, featuring expert instructors Tim Pierson and Duane Anderson, combines video instruction and demonstration with assessment test questions and printable courseware to help the student understand the subject matter. Don't waste your time with courses that put together inadequate outlines and hire teachers without real world experience. Imagine what may happen when a critical problem presents itself in the field and all you have is "basic" training. In the Advanced VMware Security course you receive the highest degree of training from our experienced IT professionals that have seen it all. This course is far more advanced than any typical security course. Students will learn about the security protocols that administrators utilize to secure their environment and dive head first into the actual workings of the VMware environment. Students will learn about various threats and how to prevent and secure the VMware environment from them. It is recommended that students have an in-depth knowledge of VMware's ESX/ESXI virtualization environment. Get the training that has helped thousands of IT professionals become GREAT administrators! VMTraining Official Advanced VMware Security Training is complete preparation for the Certified Virtualization Security Expert™ (CVSE™) certification exam. Tim Pierson has been a technical trainer and consultant for security and virtualization for the past 25 years. 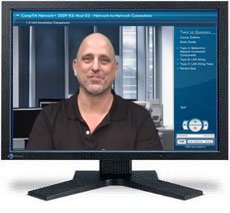 He has 29 industry technical certifications from CISCO, EC-Council, Microsoft and Novell. Tim has been a noted speaker at many industry events such as Infosec World 2010, Innatech and GISSA. He is a Contributing author of (VMware vSphere and Virtual Infrastructure Security Securing ESX in the Virtual Environment÷. He was named Instructor of the Year from EC-Council in 2009. Duane has been working in the IT industry for the last two decades. He has primarily focused on security related matters such as Penetration Testing and Forensics. He has appeared as an expert witness in multiple court hearings on IT related matters. Duane has worked for or with most US and some foreign military branches, U.S government agencies, banking and regulatory industries and Fortune 500 companies. Duane contributed to the coordination and execution of IT counter-hacking & security courses for the US Marine Corps, US Army, US Air Force, U.S. Treasury, Sprint, IBM, Washington Mutual and Service Canada. The organized and effective structure enables users to browse through hours of comprehensive content rapidly and with ease. PowerPoint presentations improve instruction by displaying all types of information for users. They can better comprehend material by viewing graphs, definitions, charts, etc. Train anywhere in the world at any time. Certified online instructors are situated at international support centers in the United States, United Kingdom, Australia, and Singapore to offer support and answer technology-related questions 24 hours a day. In other words, no matter where you live, you can communicate with specialists at any time. This level of interaction between instructors and students makes it possible for students to get answers to specific questions at their convenience. Move ahead, review, or repeat previous topics and sections. A progress bar monitors progress as you complete exercises. Every course offers full-motion videos of classroom instruction. It's as if you're sitting in a classroom. Our one of a kind delivery mimics a one-on-one classroom setting for more personalized educational experiences. Users can print entire course study guides, permitting them to view and review course material at their convenience. Every section contains a review quiz to assist and enhance learning by testing whether students comprehend course concepts before moving forward. Every course resumes where you finished during the previous session in case you forget where you stopped. Instructors provide live and "hands on" demonstrations to explain and show users how to complete tasks. This enables users to witness professionals perform everyday tasks in real world settings as often as they like. We are internationally recognized for our technology-centered IT training programs. Once you finish a program, you'll receive a Certificate of Completion. What is FC-SP (Fiber Channel - Security Protocol)? What Does a Hack Cost You? What is the Hacker Wanting to Know? Shodan - You Have to be Kidding Me! Schmoo Con 2010: Virtualization Vulnerabilities Found! ©Copyright 2003-2015. Compucert LLC. All rights reserved.